SAN LUIS OBISPO — Cal Poly is looking for a few good gardeners — and their flowers — for the annual Community Flower Show, to be held Saturday, April 14, as part of the university’s Open House 2018. Community members are invited to enter their flower specimens in the show. Registration for the event will be from 4 to 7 p.m. Friday, April 13; all entries are due between 6:30 and 8 a.m. April 14. 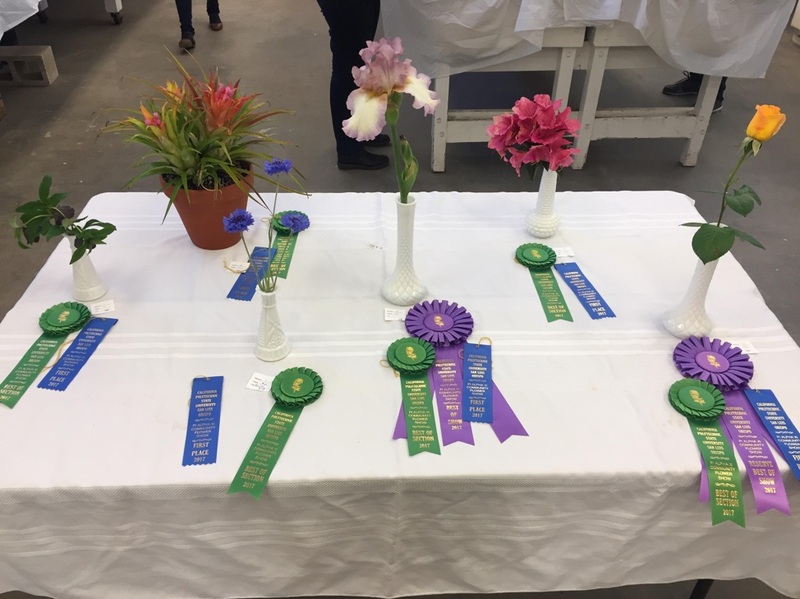 Contestants can enter specimens of perennials, annuals, bulbs, blooms from flowering shrubs, roses and container plants in the longstanding Cal Poly Community Flower Show, which is overseen by Professor Emeritus Virginia Walter. The contest is held during Cal Poly’s Open House weekend at the Environmental Horticultural Science Unit (No. 48), on Via Carta at the north end of campus. The show will be open for public viewing from 10 a.m. to 4 p.m. April 14. Entries will be judged by Cal Poly students with ribbons to be awarded to the top three entries in each class, as well as Best-of-Section, Best-of-Show, and Reserve Best-of-Show. The Community Flower Show is sponsored by the Cal Poly Chapter of Pi Alpha Xi Horticulture Honor Society. Cal Poly is a nationally ranked, comprehensive polytechnic university. The university’s College of Agriculture, Food and Environmental Sciences is comprised of expert faculty members who take pride in their ability to transform academically motivated students into innovative professionals ready to solve the complex challenges associated with feeding the world in sustainable ways. Students have access to state-of-the-art laboratories, including ranch land, orchards, vineyards and forests, all of which provide the basis for Cal Poly’s Learn by Doing methodology. It is the fifth-largest college of agriculture in the country, with 4,000 undergraduate students. For more information, visit https://cafes.calpoly.edu/. Photo information: The Best of Show and Best of Section winners in the 2017 Community Flower Show.